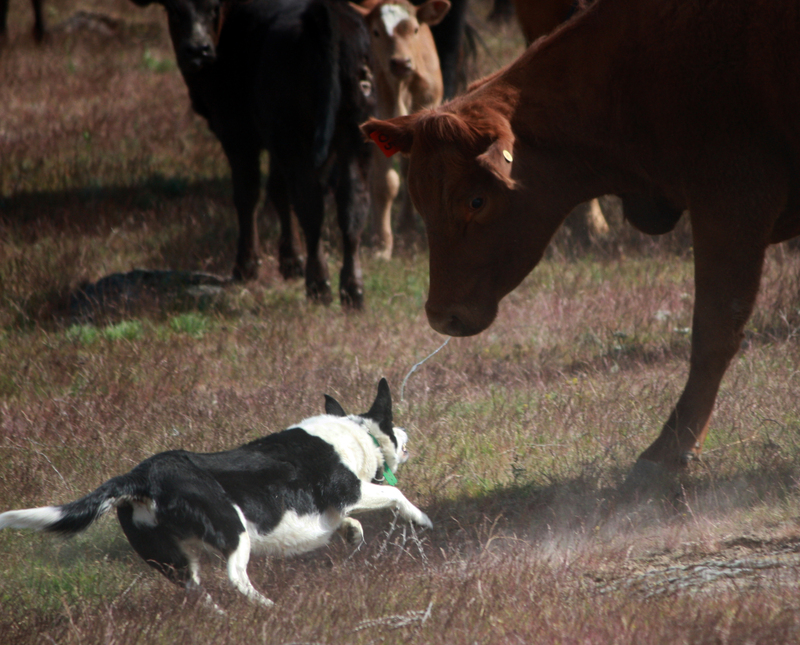 Using our Hangin’ Tree Cowdogs and Cattle Master Dogs, we will gather and pen 1 or 1000 cattle – it doesn’t matter! The price depends on how many cattle and how long you’ve been chasing them before we get there! We’ll also load your cattle and deliver them to your destination. The initial charge is $100 and .45 cents a mile to show up. Contact us for more details. 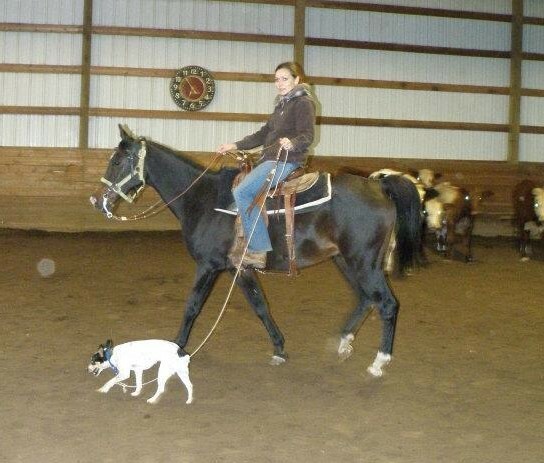 We haul horses or cattle wherever you want them to go! We’ve been hauling horses and cattle all around the country, all the time, for the last 20+ years! 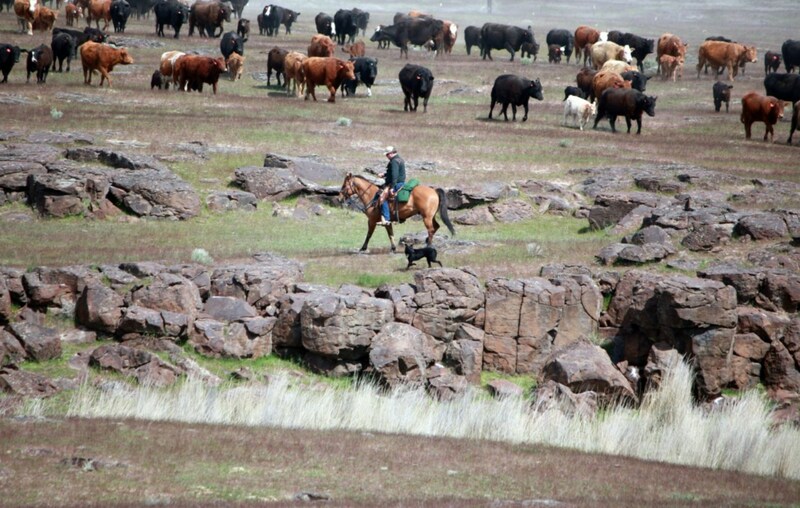 We’ve hauled horses and cattle from Missouri to Oregon, Oregon to Texas and back again – and everyplace in-between. 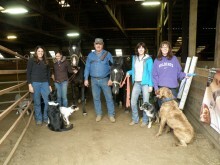 Being horse and cattle owners ourselves, we know how important your animals are. You can rest assured they’re in good hands with us! Prices vary but generally it’s .45 cents/mile. Call or email for a quote. 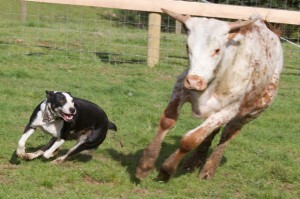 Would you like to corral your cattle the way YOU want, when YOU want? A good dog makes life a lot easier when working cattle. Here at Pierce’s Cow Dogs we always say we’d rather have a good dog then a good cowboy helping us with our cattle. 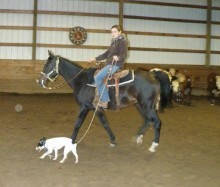 There’s a huge difference in getting your cow dog to help you verses having it ride alongside your horse. 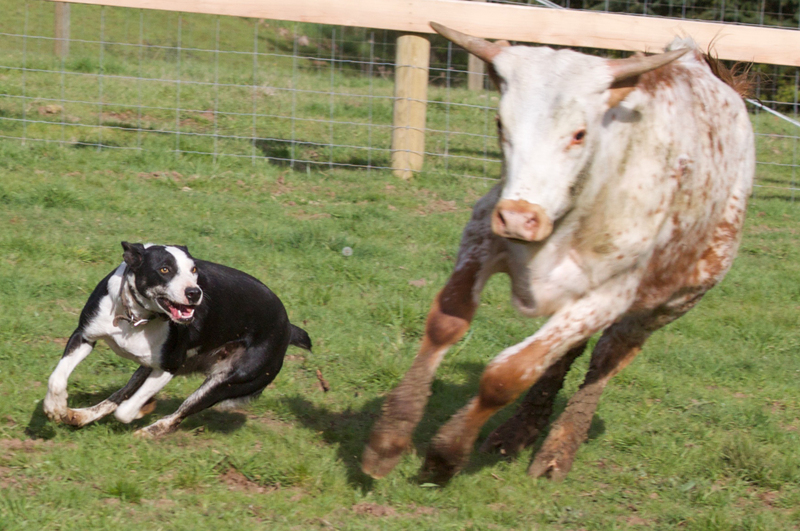 Once your dog is helping you gather cattle, that time-consuming and stressful chore becomes a thing of the past. Not only do you end up with a great working partner you also get a dog that plays with your kids, rides with you in the pickup and sleeps at the foot of your bed! 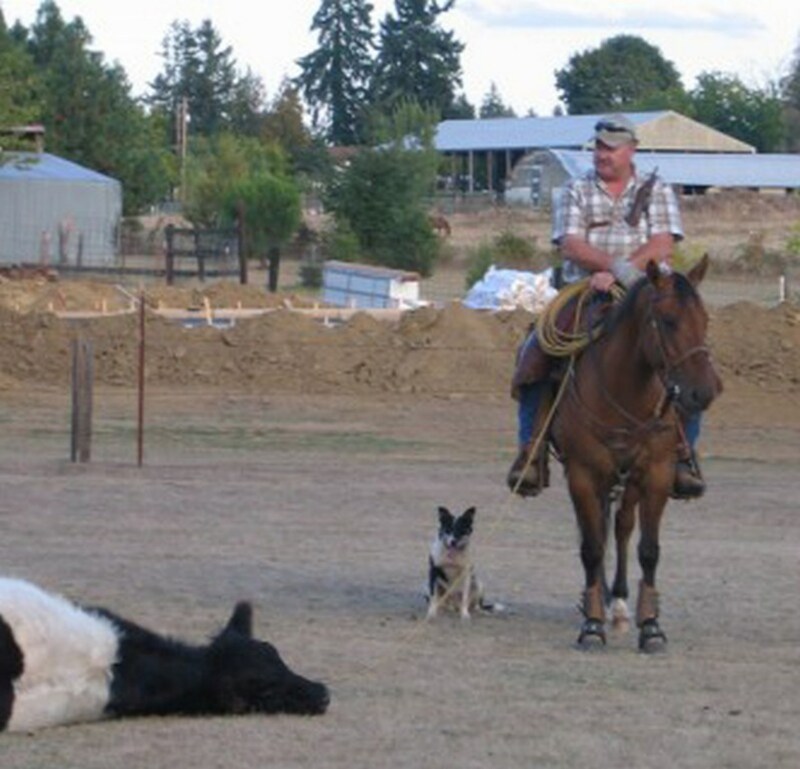 Hi, I’m Marvin Pierce of Pierce’s Cow Dogs and I’m offering a New Service for cattle ranchers and small-scale livestock farmers that will make your cattle gathering chores a lot less stressful on you, your fences and your livestock. I started this service here locally last summer with some folks who just run a few cows to maybe 30 head. 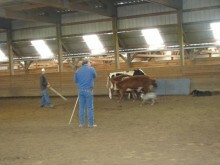 It has completely changed the way they look at taking care of their cattle now! With this service, I come to your place and help you “dog-break” your cattle using my trained Hangin’ Tree Cowdogs and cross-bred dogs. 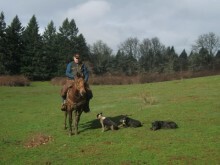 I’ll then teach you how to work your cattle also using my dogs. 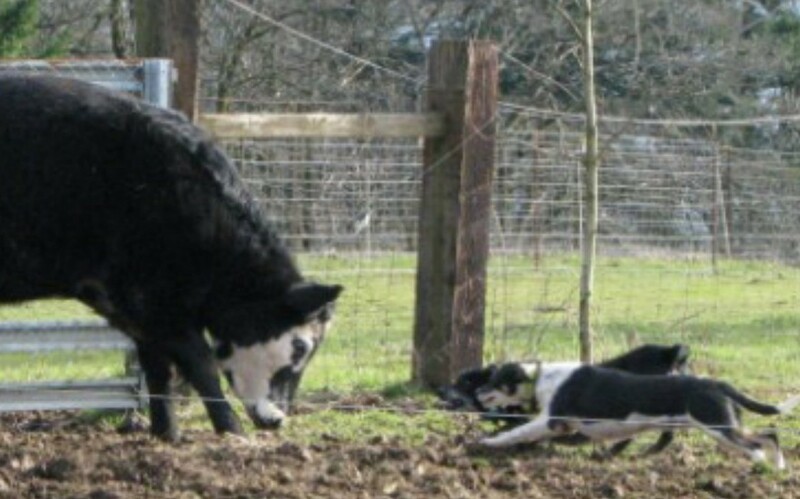 Once your cattle are “dog-broke” and you’ve learned how to work my dogs on your cattle, I help you select a good working dog prospect from our Hangin’ Tree Cowdog and cross-bred pups OR help you with the dog(s) you currently have. 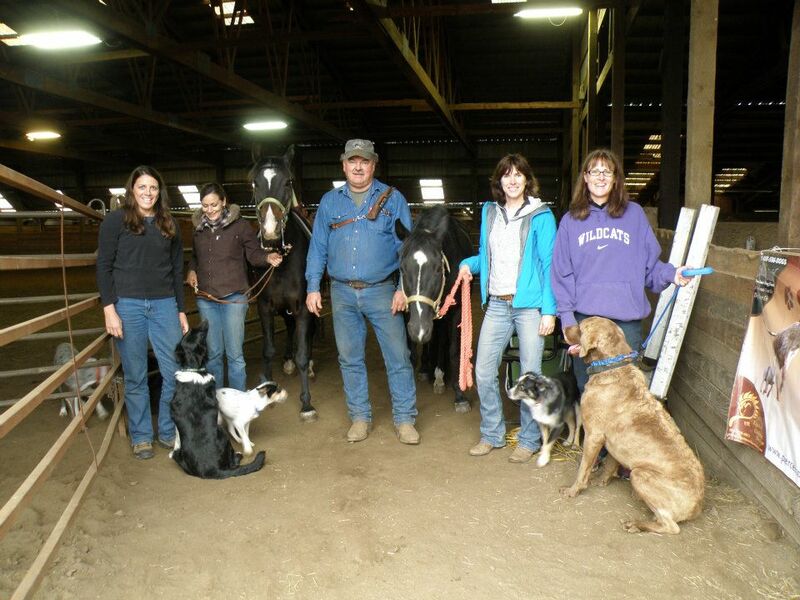 You can have me help you train your pup or dog with lessons at my place or yours, or you can purchase my cow dog training video and general dog obedience video off my website and do the training on your own with the knowledge you’ve gained from working with my trained cow dogs. 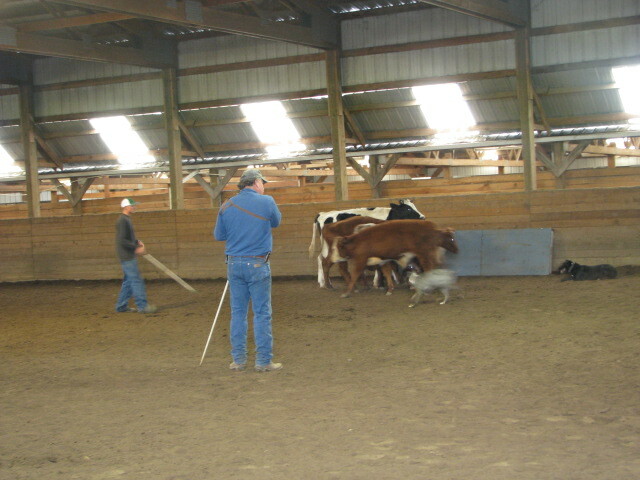 I look forward to helping you make your cattle chores a lot easier! Give me a call. For more information about pricing please contact Marvin. Costs vary with each situation.